Posted 2017-02-28 by OLS3 & filed under Debian, Firefox, Mozilla, Thunderbird Comments: 0. Mozilla 和 Debian 關於 Firefox 的 logo 授權問題已解決，現已符合 Debian ..
Posted 2016-05-04 by OLS3 & filed under Debian LTS Comments: 0. LTS 是指 Long Term Support, 乃長期維護支援之意. 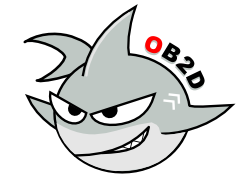 Wheezy 的 LTS 安全更新自 ..
Posted 2016-04-17 by OLS3 & filed under Debian-安全更新 Comments: 0. Posted 2015-06-02 by OLS3 & filed under Debian, Debian-release Comments: 0. Posted 2015-05-29 by ols3debian & filed under Debian, Debian LTS Comments: 0. Debian Long Term Support (LTS) is a project to extend t ..
Posted 2015-02-02 by OLS3 & filed under Debian, Debian firmware Comments: 0. Posted 2015-01-27 by OLS3 & filed under Debian Comments: 0. Posted 2015-01-20 by OLS3 & filed under Debian, Debian apt Comments: 0. 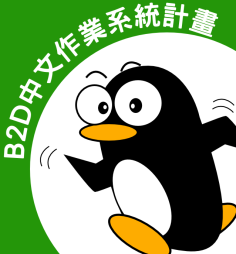 OB2D/B2D 套件管理 1. sources.list 設定, apt-get 使用, dpkg 使用 2 ..